To say that we are excited about our partnership with Farm Credit Canada would be an understatement. We are ecstatic. 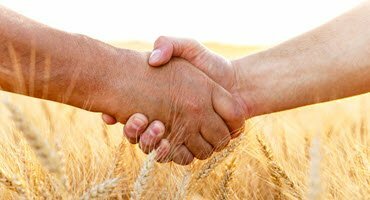 Farm Credit Canada has been a leader in creating partnerships that make positive contributions to our industry. In our partnership with FCC we want to eliminate any of the barriers that prevent you and your community from having mental health resources. 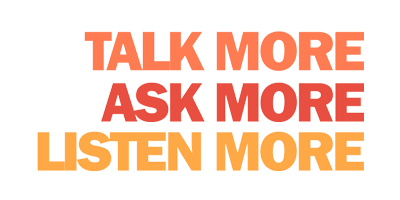 The Do More Agriculture Foundation is an advocate for extending the reach of Mental Health First Aid (MHFA) Training so that you and your communities can be equipped for any mental health crisis, while also being provided skills to understand the basics of mental health, to recognize warning signs, and empower mental wellness. Farm Credit Canada and The Do More Agriculture Foundation believe that now is the time to be building capacity. Now is the time to be getting these life-changing, and potentially life-saving trainings into the hands of our producers and others in the industry. The more people that we can equip with the skills to support someone who is struggling, the less isolated those struggling will feel. Equipping communities with Mental Health First Aid training will give community members a newfound capacity to listen, understand and effectively support someone experiencing a mental health issue or living with a mental illness. We know that education and community are two of the most vital ingredients in shifting the culture in agriculture and the partnership between Do More Ag and Farm Credit Canada is a declaration of our commitment to providing our industry with those ingredients. Farm Credit Canada lives and breathes Canadian agriculture, agribusiness and agri-food and they understand the impact that a mental health crisis can have on the farm. It is inside of this understanding that we can then take action. It is inside of this understanding that we can all Do More.. The Community Fund serves as a tangible next step for the industry to take. Farming communities all across Canada will be able to apply to have Mental Health First Aid Trainings completely covered by the Community Fund. More information will be available in the coming weeks in how your community can apply. “It’s amazing to me how MHFA is applicable to everyday life, not just crisis situations.” Says Kim Keller one of Do More Ag’s founders after completing her Mental Health First Aid training. This education has the power to destigmatize conversations about mental health and put the power back in our hands in how we support our community and mental health. There is a long way to go, but this is great place to start. Thank you again to Farm Credit Canada to believing in our vision as much as we do.